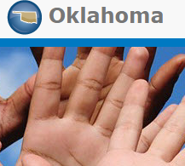 Disclaimer | Welcome to Legal Aid Services of Oklahoma's guide to free legal help in Oklahoma. Information Not Legal Advice. OKLaw.org has been prepared for general information purposes only. The information on OKLaw.org is not legal advice. Legal advice is dependent upon the specific circumstances of each situation. Also, the law may vary from state to state, so that some information on this web site may not be correct for your jurisdiction. Finally, the information contained on OKLaw.org is not guaranteed to be up to date. Therefore, the information contained in this web site cannot replace the advice of competent legal counsel licensed in your state. The Law Often Changes. Content on this site was correct when it was written. Check the date on each page. Do not assume what you see here is still correct when you read it. E-mail. Viewing this web site, or transmitting an e-mail message through this web site, does not create an attorney-client relationship. Sending email to an attorney mentioned in this site does NOT create an attorney-client relationship between you and the attorney. Unless you are already a client of the attorney, your email may NOT be protected by the attorney-client privilege. Moreover, unless it is encrypted, email can be intercepted by persons other than the recipient. Deadlines are extremely important in most legal matters. You may lose important legal rights if you do not hire an attorney immediately to advise you. Many people do not check their email daily, and some attorneys do not respond to unsolicited email from non-clients.